Data hygiene is the process of removing bad list data from customer files. Data hygiene is essential in order to maintain high deliverability rates and a positive reputation. 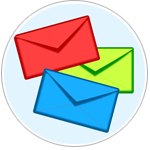 Email hygiene is the process of removing bad email accounts from your email files, which is essential in order to maintain high deliverability rates and a positive digital reputation. Learn more about DatabaseUSA.com® Email List Cleansing & Hygiene Services. Wrong address data can diminish your marketing returns, your knowledge about your prospects or customers, and even your cash flow when promotional material and invoices don’t reach them! Cleanse addresses so you have the correct contact information. DatabaseUSA.com® works with the US Postal System address database, giving you the most recent address information so you can have confidence in your customer or prospect database. Data hygiene will help your brand maintain a positive reputation among consumers, as well as among email hosts. Sending to non-existent addresses or to spam folders is very damaging to your brand and IP reputation. When you damage your IP reputation, deliverability among email hosts decreases. Learn more about how DatabaseUSA.com® Data Enhancement Solutions can help your brand maintain a clean reputation. Web Form Submissions in Real Time! The DatabaseUSA.com API will perform real-time data validation, hygiene, and enhancement and append enhanced data your marketing team can work with. Enriching your list with consumer demographic or business firmographic data helps you create a more personalized experience for leads. Fill out the form on this page and we’ll set you up with a FREE TRIAL that includes technical support to implement our API into your website. The DatabaseUSA.com API also supports postal and postal and phone validation and enhancement. Integrating it into your website is quick and easy, and response times are sub-second. Want to see how easy it is? Check out the Documentation of the DatabaseUSA API Service that provides sample requests and responses you can use. You may also want to provide the DatabaseUSA.com API Implementation Guide to your technical resource if you are ready to try it! 3. Instantly receive validated and enhanced information! Complete the form or call us at 877.407.0101 for more information on our Data Cleansing Services.